I followed this article with a brief report of warnings from the FDA about unsupported and exaggerated claims for HBOT in humans and a report on a human study showing no benefits for treatment of concussion. Given that I last looked at the literature 5 years ago, I thought it worthwhile to check for any new evidence on this treatment in veterinary patients. Unfortunately, there hasn’t been very much research published since 2013. There is a paucity of data about use of HBOT in veterinary medicine, and no randomized, controlled clinical trials for any condition have been published… HBOT holds therapeutic promise in animals and deserves clinical and research attention. However, the therapy is not benign, and understanding the basics of HBOT and possible complications is critical. 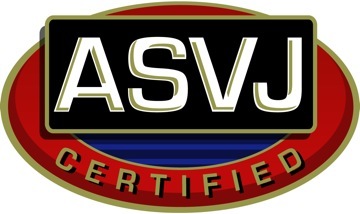 Because the clinical information, apart from expert opinion and research experiments with small numbers, remains minimal, research is essential to expand information about the physiology behind the modality, condition-specific treatment parameters, and appropriate and efficacious indications for use in veterinary patients. Since then, there have been two published veterinary reports. One study evaluated the safety of HBOT by recording any adverse effects noticed during 230 treatments in 12 cats and 78 dogs. Though this was only an observational study of short-term treatment, and there were a few other limitations, no serious adverse effects were seen. Minor effects, suggesting some discomfort and possible inner ear problems, were seen in some patients at a modest rate. This certainly doesn’t rule out the possibility of any more serious harm, and cases of significant injury have been reported in humans. However, this study supports the general findings in the limited veterinary literature that adverse effects of HBOT seem uncommon and typically minor. The only known fatality reported in veterinary HBOT involved an explosion which killed both the patient and the operator at an equine therapy facility in 2012. Latimer CR, Lux CN, Roberts S. Effects of hyperbaric oxygen therapy on uncomplicated incisional and open wound healing in dogs. Vet Surg. 2018 Aug;47(6):827-836. This was an experimental study, not a clinical study. Ten lab beagles were given surgical wounds, and then given the same wound care (suturing, bandaging, pain control, etc.) except that 5 were given a series of HBOT treatments as well. Blinded observers evaluated wound healing scores, and biopsies of the wounds were examined. No effect of HBOT was seen, and the wounds healed the same regardless of whether the dogs got HBOT or not. There are a number of limitations to this study, including the small number of dogs and the use of lab dogs with artificial wounds rather than a real-world population of dogs with the kinds of wounds that would typically be treated with HBOT. Nevertheless, the study certainly suggests there is no dramatic benefit to HBOT in the healing of routine, uncomplicated wounds. The literature since 2013 has not provided any reason to alter my original conclusions. While HBOT appears to have promise based on theoretical reasoning, lab animal studies, and some validated uses in humans, there is still no convincing evidence to support any claims of benefits to veterinary patients. While the risks appear to be minimal, there is only weak and unreliable evidence of any benefits. 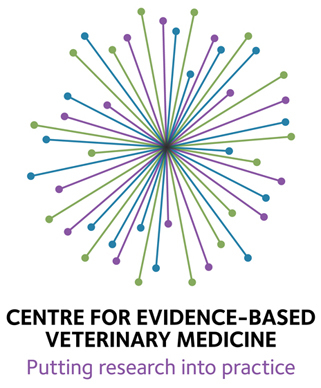 The use of a complex, expensive, and potentially harmful treatment in the absence of any strong evidence for benefits is not the best way to use limited resources in veterinary medicine or to provide the best care to patients. Advocates for HBOT, especially those selling it as part of their practice, ought to focus on supporting rigorous and objective clinical studies to identify what real benefits, if any, there are from this therapy. Thank you for another useful analysis of the available evidence. This is a subject I’ve been wondering about, as a local (otherwise trusted and well-regarded) surgical specialty practice has started offering HBOT, and is quite enthusiastic about touting its benefits. Thanks for the straight dope. After a year of watching my dog suffer from a bad case of Pyoderma (no hair, dry and bleeding skin cracks), it was suggested we try HBO therapy by my vet and she gave us a referral. Given there had been no response with several different antibiotics and other medications, we decided to give this a shot. The HBOT vet had seen some very positive results with other conditions but wasn’t sure about this type of skin infection. Not being sure, he recommended 5 one hour sessions over a week or so. At the end of the first week, there was marked improvement (healing scabs, less lesions, and his hair started to grow). We didn’t schedule any more treatments because he responded so well in a short amount of time and he only improved. Within, two months he was completely recovered. Of course this isn’t scientific evidence HBOT is effective. I’m just lucky enough to have had the resources to give this a try and I believe was the reason he recovered. There was plenty of scientific evidence behind the medications that had already been tried, plenty of money spent for the lab tests to diagnose and nail down the correct antibiotic, and plenty of specialists($$$) consulted with. Given the information out there and the science that does exist regarding this therapy, this was no shot in the dark and it was exactly what his immune system needed, IMO. Always glad to hear that a pet is doing well, but unfortunately this isn’t evidence to prove anything about HBOT. I hear exactly the same kinds of stories for homeopathy, energy healing, Lourdes water, and every other therapy anyone has ever tried. I understand why it seems like the HBOT solve the problem, and it may be that it did, but until there is controlled research evidence showing that, we are still just guessing. You are very right in that the HBOT research is extremely limited in veterinary medicine, but it will be growing daily. There is numerous research articles in human literature that are very applicable to veterinary patients as well. And sadly, some of the human articles that report no changes with hyperbarics in their patients, are extremely flawed and poorly designed studies. The science of how hyperbaric oxygen works is similar between all species . The article recently published in Vet Surgery only backs up what the human literature has already stated for years. Hyperbarics has never been recommended for healthy acute wounds, but has been for complicated or compromised wounds. I can tell you as a board-certified surgeon, I have seen dramatic results in our neurosurgical patients. We will be coming out with some perspective studies that show a huge improvement in IVDD dogs with no deep pain on presentation. Much of the data was presented at the international hyperbaric medical Association in 2018. Presently our numbers are sitting at a 78% returning to ambulation, with decompressive surgery and preconditioning hyperbarics (preop and post op HBO). There are a number of conditions that will respond very well to hyperbaric oxygen therapy in veterinary medicine. It is certainly not meant to replace any of our current treatments, but should be complementary or adjunctive to how we are already treating our patients. There is thousands of articles in humans showing the benefits of HBO when combined with their traditional therapies for faster, more functional recoveries. I too was extremely skeptical initially, however after diving into the research and practicing HBO now for three years, it has become an integral part of how we treat our surgical and rehabilitation patients. The results have truly been amazing. We try to document preoperative and postoperative findings of each patient with video. Many of those can be found on our Facebook page called Veterinary Hyperbaric Medicine Forum – Oxygen Revolution. We currently treat approximately 200 patients a month . The future is very bright for the integration of hyperbarics into our field and will only speed and restore healing at a greater rate. 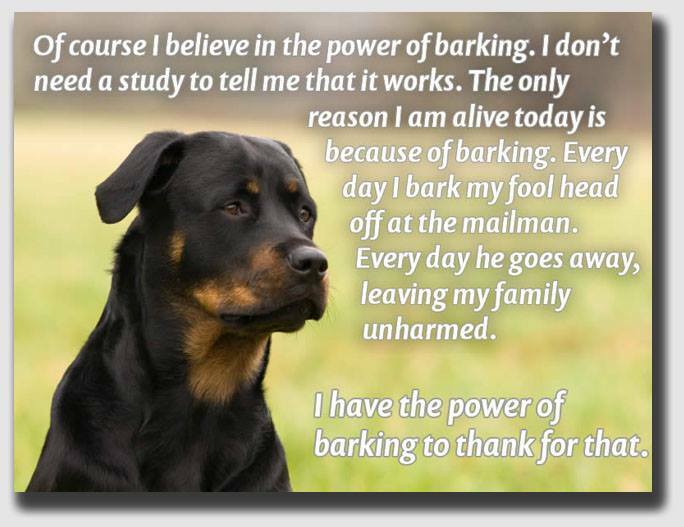 However, you are right in that we need more veterinary research studies and case reports that are evidence-based medicine in the veterinary field. You may be right, but the bottom line is we still need high-quality, controlled clinical research to prove it. Dismissing negative studies as poorly designed is fair enough, but of course homeopaths do the same thing, so by itself this isn’t sufficient to support claims of real efficacy. Neither, of course, are anecdotes, so the fact that you have the impression HBOT has helped your patients is no better evidence than similar anecdotes for less rationale therapies. The most reasonable position at this point regarding HBOT is that it has promise but we don’t yet have enough evidence to claim significant benefits for our patients. in dogs with no deep pain?